[Blind Gossip] This very rich and famous man is losing it! He’s coupled up with more than one famous woman and is supposedly worth at least $1 billion. However, he is getting a vote of “no confidence” from the people who know him best, and they are running for the exits! 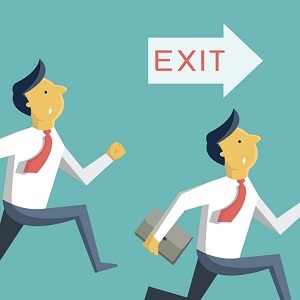 Every top executive at [the company] is quietly planning their exit. The whole thing is a house of cards and they want to get out before it collapses. He’s putting on a show like everything is fine, but it definitely is not. He is not the genius that everyone thinks he is, but you don’t figure that out until after you’ve worked here awhile. I think there’s something mentally wrong with him. He gets easily distracted (especially if there is publicity involved), he really doesn’t know how to run a business (which is frightening for a man in his position), and he lies constantly. I guess he has to keep lying though, or all the investors will run. Sounds like it’s time to get off this sinking ship! BG Note: Although “house of cards” and “sinking ship” sound like clues, this has nothing to do with either Kevin Spacey or Johnny Depp. [Optional] What do you think will happen to his business? James Packer. No I would not like to work for him. This has to be it. Packer just resigned from all of the boards he was on. Taking care of his mental health. Has to be Elon Musk. Optional: Maybe it’ll eventually get bought out by another more established enterprise? They’ll pull an Uber and find a new, stable CEO with reasonable expectations. Elon Musk, rumoured to be Bipolar. Elon Musk, of course. It’s really a shame because we need cars like Tesla that don’t burn fossil fuels. Elon Musk. HIs business will get through this situation. His company put a rocket into space. No one is going to let him go down with the rocket ship! He’ll be forced to give up management of the company. Oh, Elon, just quit while you’re ahead. Our mayor and city just entered into a huge project with him, wouldn’t be a surprise if it was a bad deal — our city makes horrible deals. You’re in Hawthorne? The city who had felons as mayors? Chicago (so yes the politicians are still corrupt) – the boring project – a direct train from O’Hare to downtown. Kanye is definitely not a billionaire. Initially thought this was The Donald. However, I’m thinking this is Elon Musk. The clue “sinking ship ” has been used as a reference toward the Telsa Company. The person involved is supposed worth around a billion, but Elon Musk is apparently worth over 19 billion and The Donald is worth about 3 billion. I’m thinking maybe both guesses are incorrect. I’m intrigued as to whom other posters think . Jay Z and Tidal, disaster area. I think the business will be sold so that he can start another company or continue to live well while he thinks about the situation. Elon Musk…gonna end up in prison. Lying to investors and inflating company value to get bigger bank loans. Now is the time to run away from him as quickly as possible. Sounds a lot like Elon Musk. I think he is doomed unless he gets some business folks around him to manage things. Tesla is having big problems even with gov’t subsidies, and he’s too stretched out with SpaceX and other visionary projects. coud be also current POTUS, but I don’t think “everyone” ever thaught he’s a genius, beside that clues seems to fit him. Elon Musk. I think the man is a genius but his company, Tesla, could be headed for financial difficulties. If he has to infuse money himself or issue new bonds, he will.